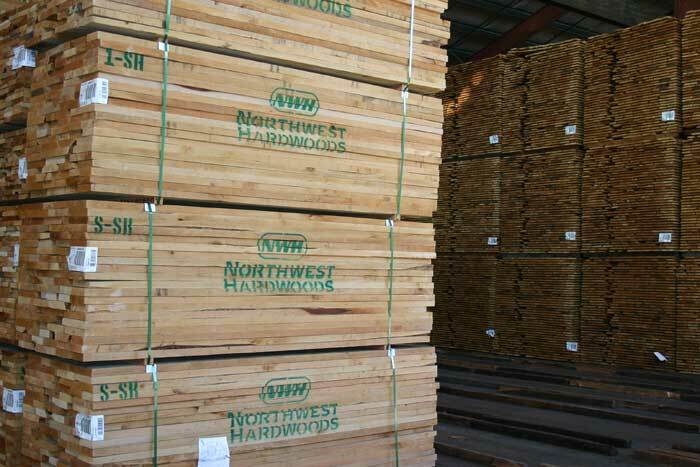 The cover story for the April issue of Timber Processing, Northwest Hardwoods sawmill in Eugene, Ore., represents a project that only took two decades to come to fruition: I was in the process of arranging a mill visit and article way back in 1995 when Weyerhaeuser bought the mill. The project then disappeared behind the Great Wall of W until WeyCo spun its hardwoods division off in 2011. We were happy to see veteran industry executive T.J. Rosengarth take the helm of Northwest Hardwoods when it was purchased by a private equity group, and we had been bugging him about doing a story ever since he got settled into his new office. (Interestingly, it was also about that time way back when in the mid ’90s when I first met Rosengarth: He was managing Willamette Industries’ Korpine particleboard plant in Bend, Ore., where I took one of the best accidental photobombs ever when the fish mounted on the wall behind Rosengarth looked like it went right in one of his ears and out the other.) Anyway, the Eugene hardwood sawmill mill visit and article write-up went smoothly—even if it took 20 years to happen!